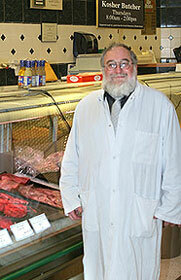 Eastside Marketplace’s commitment to the Jewish community is well known. Offering a wide variety of kosher and kosher-style products for a strict home or for kosher-style foods in meal preparation and menu planning, we take pride in providing the very best in fresh and prepared foods in Rhode Island. And we’re the ONLY market in Rhode Island offering customers kosher butcher and fish service every Thursday from 8am – 2pm, under the full supervision of the Rhode Island Kashruth Commission. 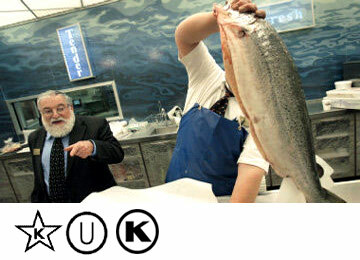 We ask that you call Eastside Marketplace to place your kosher meat or seafood order at (401) 831-7771. The Vaad of Rhode Island supervises Kosher Services between 8 am and 2 pm on Thursdays each week. We can assemble orders during those hours only. Also, we ask that you place your order at least 24 hours in advance. 8:00 am to 2:00 pm. In addition to our fresh kosher service, we carry a full line of fresh and frozen kosher items from Empire, Tabatchnick and Meal Mart. The deli at Eastside Marketplace carries traditional Jewish deli favorites, like store-made fresh beef tongue, and Hebrew National corned beef, pastrami, salami and bologna. Other favorites include: kugel, premium cut Nova smoked salmon, and herring in cream sauce. We also offer specialty items for the high holidays to add to your own menu. Need some help? Our knowledgeable catering department can help plan the perfect event. Make Eastside Marketplace your destination for all things kosher. From cereal and juices to soups and baking mixes, our kosher aisle has a large selection of kosher groceries. These are from names you can trust, like Manischewitz, Rokeach and Osem. There is also a large variety of specialty products available during the high holidays. Our grocery and packaged dairy and frozen items carry the kosher symbols to make shopping and meal preparation easier for you.